Growing up the only thing I even knew for certain was that I wanted to be a mommy. Becoming JustaBXgirl’s mommy has been my biggest blessing next to the breath that God grants me daily. Any parent out there that sees there child on stage for whatever reason knows the sense of pride I get from watching my little confidently take the stage to perform. It’s not about the skill, it’s not about the content. It’s about her. It’s her showing the world without fear who she is. This post is for JustaBXgirl. My hope is that you always walk through life with your head held high and a dance in your step. My prayer is that you see the greatness I see in you. My desire is that you remained dipped in confidence and compassion. This was not the first time you stepped on a stage. This will not be the last time you step foot on a stage. And it is so much more than the three minutes you spend copying your teacher on stage. My pride, my joy, my awe comes from watching you prepare yourself for those three minutes. While preparing for your recital you do not give up. You do your best to stay focused and while at times you need to be redirected back to the task at hand, at the age of four you show me a sense of maturity that inspires me to be even better. Watching you remain calm among the chaos ensuing in the waiting space shows me a glimpse into your future. You have your moments when you completely lose your cool at home but you don’t do that outside. When you walk into the world on your own I know I do not have to worry about you because you wear grace and dignity as a cloak. You remind those around you how they are expected to perform and I hope that you always remain the leader you are today. 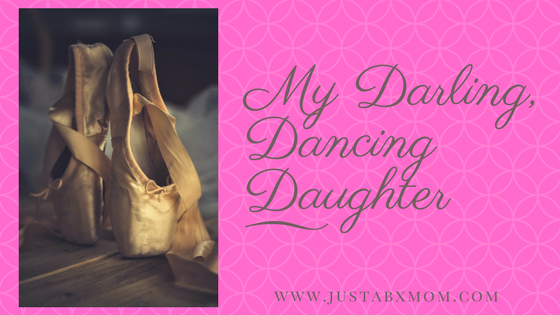 I love you my darling, dancing daughter. I only hope that you know you are my little super star because of who you are and not what you do. Mama loves you little girl. May you both always be a light of hope, love and inspiration to each other and others in your village. God bless!